First Step: Do your homework. You should put your idea on paper and make sure it is well documented. Have wire-frames developed even if it is pen-sketched. Putting your idea on paper is the first step in any successful App development venture. Properly document your idea giving a list of the required features and functionality of the app. You should cover any relevant details concerning any server side/backend information. Be ready to showcase the flow of your app. First use a pen and paper before you think of using any tools. However, you can also think of hiring a designer or outsourcing the design work the same way you have outsourced the coding part. It is better to develop a separate app flow wireframe for every platform you are targeting. You should do this despite the fact that your app will be similar. This is because the behavior of an app is different on different devices. Thus, it is better to treat them as different. However, a good mobile apps development company will be able to create apps for different platforms easily. All that’s needed is a couple of discussions along with some review sessions. First option is to spread the word about your requirement within your contact circle, but you must be comfortable doing so (most people are not). By doing so you may get some references. 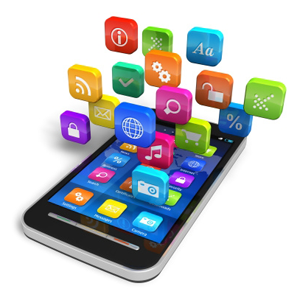 Choose mobile app developers who have good level of expertise and experience, and whose rates are reasonable for you. Second option is to do a Google search using the right keywords. You can also search through social networks such as Twitter, LinkedIn, Quora, and Facebook. You should then, browse through the search results and quickly check out the websites of possible development companies. Make sure to contact those companies that look promising and have a professional look. Once you get the results of the Google search, you should browse through first 4-5 pages. Keep on clicking on the websites that are listed there. You should start contacting the ones whose websites look professional and stable. Avoid the ones that are too flashy or jazzy. Consider companies whose website gives you information that is relevant and to-the-point about their services. Normally, services companies will have online contact us forms that you need to fill up or they will give you a sales ID. You can use either option to contact them. You should give your name and contact details along with a brief description about what you are looking for. Third option is to advertise your project on online marketplaces or freelancing sites such as oDesk, Elance, and vworker.com and wait for responses. Third step: Check out responses you got by using the above mentioned options. After that you should start screening the list. Now that you are getting responses for your project, you should make a list of the different companies and freelancers who have responded. If the list has more than 10 options, you should do some initial level screening first. Fourth Step: Create your vendor selection criteria. You should keep it flexible because it can get modified along the way and it should. The main reason for this is that you gain some knowledge along the way. Now you can start screening. 1. How they have responded during the process? 2. Size of the company and how stable it is. 3. Their expertise as well as their skill-sets level, their previous experience & references along with their mobile domain knowledge. 4. The questions they put to you about your project along with their attitude towards you. 5. The Prices along with the reasons given by them, and their payment terms. It is a standard practice for companies to take some percentage of the final amount as an advance or kick-off fee. 6. Transparency – How transparent are they when they share the estimation? 9. You should check the proposed Agreements, terms & conditions along with the accountability clauses, and the post delivery support. Fifth Step: Make your intent to do business with the selected vendor clear. You should also finalize things like the development plan, modes of payment, milestones, and the final agreement.